Home / honor v10 / Honor V10 Coming Soon / Honor V10 confirmed to launch / Honor V10 spotted on TENAA certification site / Huawei Honor V10 with 5.99-inch FullView display / smartphone / tech news / Get TENAA Certification, Honor V10 Coming Soon In The Near Time? Get TENAA Certification, Honor V10 Coming Soon In The Near Time? Earlier the smartphone Honor V10 is scheduled for release on 28 November, where the launch event is expected to take place in Beijing, China. Now, Huawei's smartphone with model number BND-AL00 has appeared on the site of China's telecommunications equipment regulatory agency TENAA, which is suspected to be the flagship smartphone of Honor V10. According to the list shown by TENAA, the smartphone with the BND-AL00 model number is carrying the latest flagship chipset from Huawei, the Kirin 970. This is in line with the official teaser of the company that mentions that Honor V10 will come with a Kirin 970 chipset that has AI support. So, it is most likely if the BND-AL00 device is Honor V10. Honor V10 itself is expected to come with a screen area of ​​5.99 inches FHD + 2160 x 1080 pixel resolution which of course with 18: 9 aspect ratio. 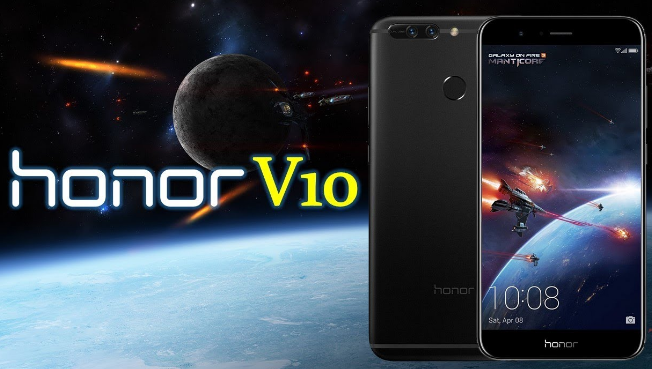 In addition to carrying the Kirin 970 chipset, Honor V10 is also expected to come with 6GB of RAM and internal storage options 64GB and 128GB. To handle photography, this smartphone will come with a 13MP resolution front camera that seems to be spoiling the selfie lovers. While at the back is expected to have a dual-camera setup 16MP + 20MP. For battery capacity of 3.750mAh supported with SuperCharge 22.5W feature. As for the operating system is expected to carry Android OS 8.0 Oreo coated with EMUI 8.0. According to rumors, the price of Honor V10 will be around 2999 Yuan or equivalent to Rp6 million. Let's look forward to whether Honor V10 will actually go on November 28th or not.